Interested in reading patient stories, insights from medical professionals, and perspectives from the ZERO team? Check out ZERO’s brand new blog, Journey to ZERO. We won’t settle for a world where prostate cancer takes our fathers, brothers, husbands, and children from us. Our Journey to ZERO blog follows our fight with commentary and discussion about what’s happening in the prostate cancer community, stories and inspiration from people impacted by the disease, and insights on news and current events. Read more from ZERO CEO, Jamie Bearse. 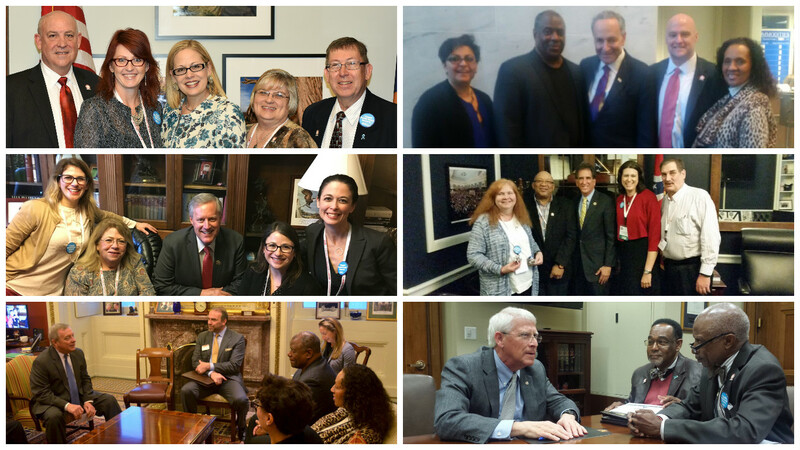 Hundreds of advocates will put their passion to work as they descend on Capitol Hill at the end of February to fight for increased prostate cancer research funding during ZERO’s Annual Advocacy Summit. During the Summit, ZERO advocates will meet with more than 70 congressional members that have influence over prostate cancer funding and legislative priorities. It is through these meetings that we make a statement on Capitol Hill during the 2018 appropriations process. We’re fighting for increased prostate cancer research funding on behalf of all men and their families. Kirsten Bibbins-Domingo, MD, PhD, MAS, Chair of the U.S. Preventive Services Task Force, will join this year’s speakers list. Summit attendees will have the opportunity to hear her speak about the Task Force and what the future recommendations on the PSA could mean for prostate cancer diagnosis. Melissa Cunningham, PhD, Program Manager, Prostate Cancer Research Program. She will be speaking to advocates about the high-risk, high-reward research that PCRP takes on at the Department of Defense and how advocates can be involved in the research review process. FOCUS ON YOUR HEALTH AND WE’LL DO THE REST! Prostate cancer is complicated. Thanks to ZERO360, you don’t have to face it alone. Call our team today to get answers to questions about treatment options and financial resources. Get started. We are proud to partner with the American Institute for Cancer Research for #CancerPrevention Month to spread awareness about the prevention of many cancers – including prostate cancer. Though many risk factors for prostate cancer lie outside of our control, such as increasing age, race, and family history, there is strong and consistent evidence that staying at a healthy weight lowers risk for advanced and aggressive prostate cancer. During Cancer Prevention Month and beyond, ZERO is encouraging men to adopt a healthy diet and exercise regularly. Read more about how we’re taking action for cancer prevention this month! Want to make your miles count? African American men are 1.7 times as likely to be diagnosed with prostate cancer and 2.3 times as likely to die from the disease. This Black History Month, we’ll be sharing stories from some of our dedicated advocates who fight daily to increase education and awareness among the African American community. One of those men is Anthony Minter. 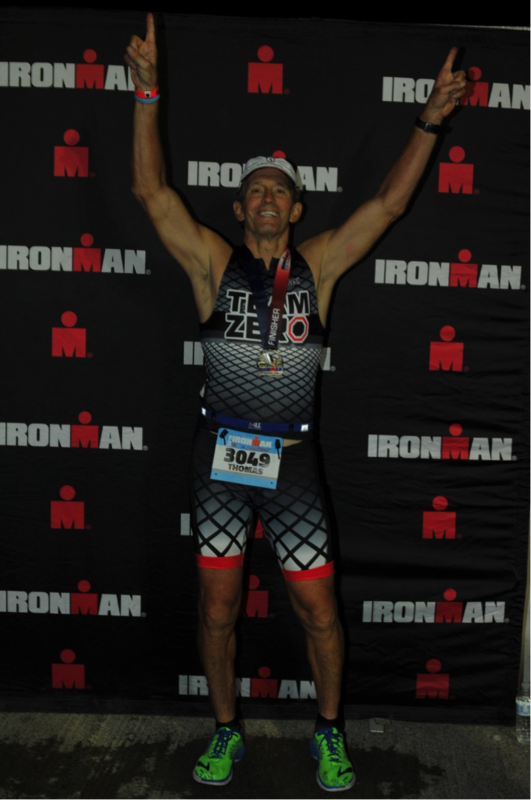 When Tony Minter was diagnosed with prostate cancer in 2012, he was 50 years old and had been monitoring his PSA with his doctor since he began testing at 40. He is now a passionate ZERO advocate who attends the ZERO Summit each year in Washington, D.C. and educates men in his local community about their risk for prostate cancer. Read more of Anthony’s story here and more about prostate cancer in the African American community here. Hear from Dr. Veda Giri, Director of Cancer Risk Assessment and Clinical Cancer Genetics at Sidney Kimmel Cancer Center and a genetic counselor. 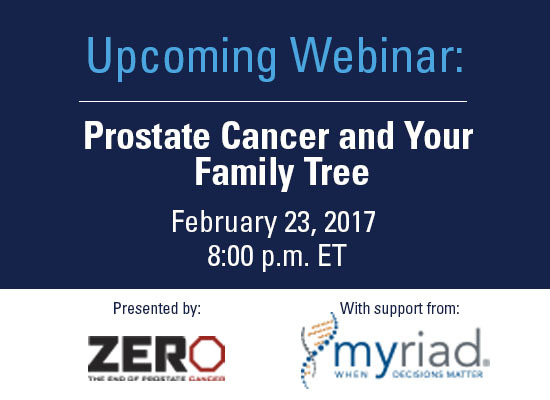 Dr. Giri will share what you need to know about hereditary cancer, as well as the importance of understanding the BRCA gene and what it means to be a carrier. Register here. On Saturday, February 18, Brewers in four cities are taking their rivalries to the court — the bocce court, that is. 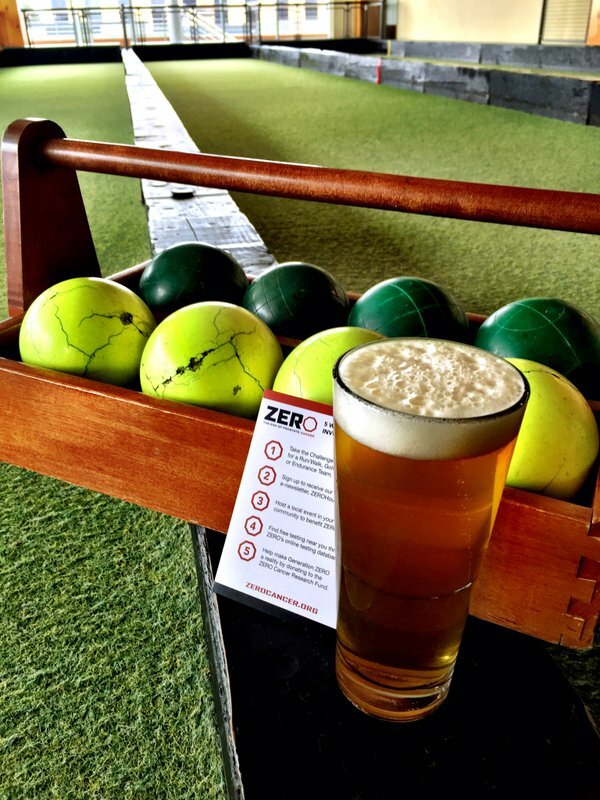 In Kansas City, Washington, D.C., Chicago, and Minneapolis, Pinstripes will host the second annual Brewers Bocce Tournament, with all proceeds benefiting ZERO! We hope to see you there. 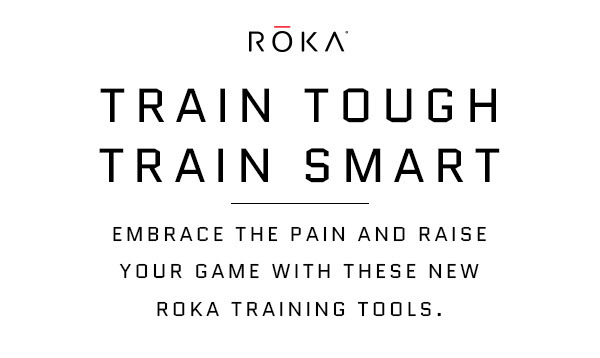 ROKA is the Official Swim Sponsor for Team ZERO. 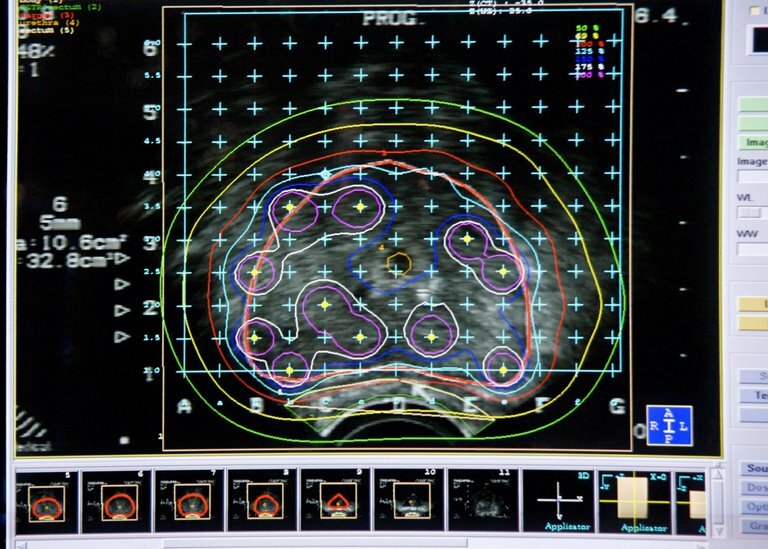 Men whose prostate cancer comes back after surgery are more likely to survive if, along with the usual radiation, they also take drugs to block male hormones. The finding comes from a long-running study that experts say will help clarify treatment for many patients. Read more in The New York Times.